A Southern Grace: get ready for some krusteaz! 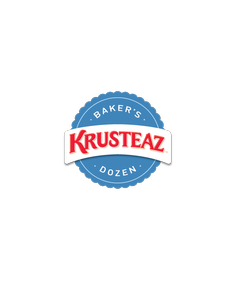 I have exciting news on that front: I've become a brand ambassador for Krusteaz and am now a member of their Baker's Dozen. I get to play around in my kitchen experiment with several of their mixes, both current products and those never before seen. If everything goes to plan, you'll be seeing dishes both sweet and savory, from simple and basic to fancy-pants and a bit more complicated. If you're the kind of person who likes to make every single component of a dish from scratch, I hope to show you that in some cases, even when you think the opposite might occur, boxed mixes can add depth and delight to a recipe. I hope you're looking forward to it, because I know I am.